No need to panic, the UK was on its way out of the EU years ago. This was the view shared by Herman Van Rompuy and the EU foreign affairs ministers who met in Paris on Thursday (1 September). EURACTIV France reports. The topic of Brexit was naturally high on the agenda at the Europe day of France’s Ambassadors’ Week, held in Paris, although the diplomats present tried to play down the impact Britain’s exit would have on the EU. “Europe is undergoing a period of introspection. This could be useful if we manage to find renewed cohesion,” French Minister for Foreign Affairs Jean-Marc Ayrault said. The former mayor of Nantes mentioned Winston Churchill’s Zurich speech, in which he called for the creation of a United States of Europe. “But in Churchill’s vision, which is sometimes misunderstood, the United States of Europe did not include the United Kingdom” the minister said. 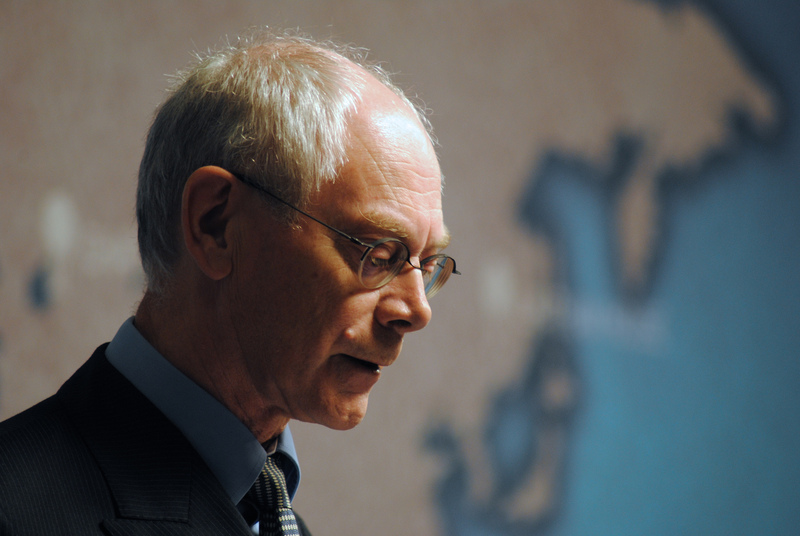 Former European Council president Herman Van Rompuy went one step further, criticising the destructive role played by the UK in recent years. 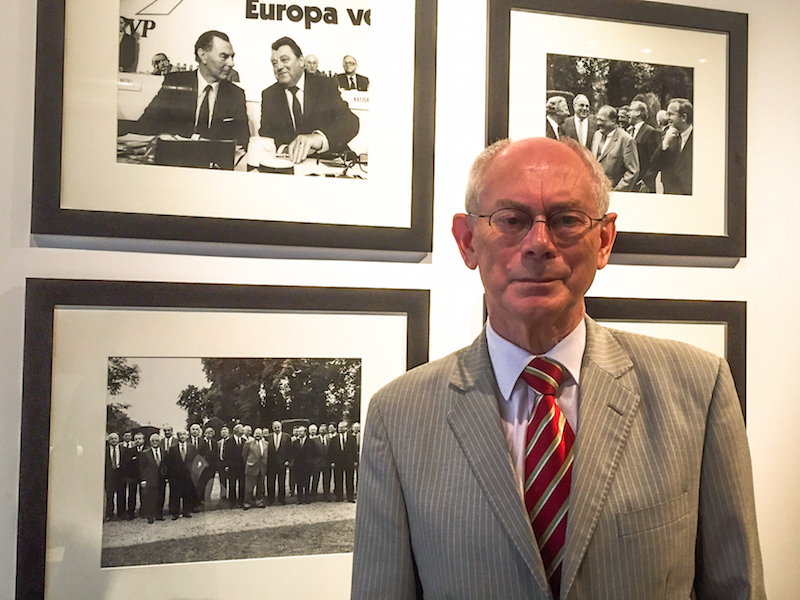 The British have voted against their own interest, Herman Van Rompuy told EURACTIV.com in an exclusive interview, contending that the UK’s isolationist mentality cut off its emotional link to Europe. The EU can go further without Britain on security, defence and foreign policy, he said. “Brexit is a political amputation. But the United Kingdom was never a full member of the European Union,” he said, referring to the many ‘opt-outs’ negotiated by the country during the course of its membership. “The UK had even stopped playing a role in EU foreign policy,” Van Rompuy said. He pointed out that the Minsk agreements were signed between France, Germany, Ukraine and Russia, with no participation from the United Kingdom. According to the Belgian politician, Brexit should not be viewed as a European phenomenon, but a specific incident largely influenced by national circumstances, for which Europe was a scapegoat. “The negotiations will take years and years,” Van Rompuy warned, adding that the unresolved British question should not be allowed to paralyse the European Union, as the bloc’s remaining 440 million citizens had other priorities. “And we will not convince our citizens with a new narrative. That’s for when there are no ideas. What we need are results,” he said in a thinly-veiled jab at the current Commission. The ex-head of the Council also minimised the importance of Brexit. In reference to the delicate political situations in Italy and Spain, and potentially in France in 2017, he added that any danger of the EU imploding would not be caused by the United Kingdom but by political instability in one of the big eurozone countries. The Slovakian Minister of Foreign Affairs, Miroslav Lajcak, whose country currently holds the rotating presidency of the EU until the end of this year, unveiled the agenda of the 16 September Bratislava summit at the Paris event. Perhaps not surprisingly, Brexit will feature heavily alongside the economy, security and the effectiveness of European action. Finally, Pierre Moscovici took a mathematical approach to Brexit. “Brexit is a situation where, for the first time, European Union will have to grow after a subtraction,” the Economic and Financial Affairs Commissioner said. He added that the EU had already survived the subtraction of part of its budget. Over the period 2014-2019, and for the first time, the member states cut the EU’s budgetary capacity in spite of the growing number of challenges the Union faces. The French Commissioner also warned of the risk of a breakdown not at the outer edges of the EU, with Brexit, but in its very heart, and within the political class. “Former ministers from governing parties, from both left and right, have called for the abolition of the European Commission, or for it to be turned into a secretariat for the Council. 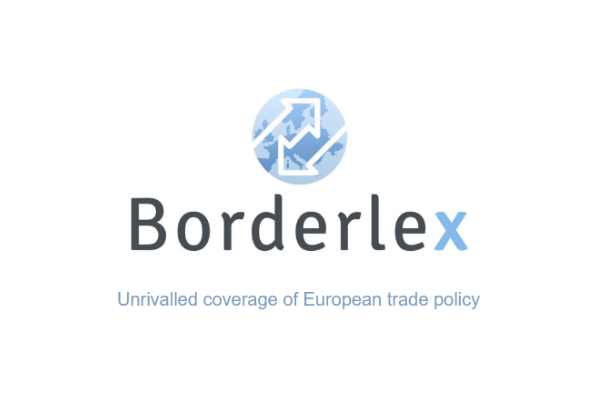 This is unacceptable,” Moscovici said. Laurent Wauquiez, France’s Eurosceptic former secretary of state for European affairs, called for the Commission to be abolished after the Brexit vote, and Arnaud Montebourg, a candidate for the 2017 French presidential elections, often has harsh words for the Brussels bureaucrats. Now that Europe is preparing to cave into allowing Ottoman 2.0 Turkish visa request .Brexit was indeed the right call.. This is what you get for allowing Germany to run your affairs through Brussels. Clearly the unelected Brussels elite still have their heads in the cloud and deny the reality that is the EU at every turn. Nice to see someone finally beginning to understand Churchill’s speech though. I like this piece, I don’t agree with all of it, but at least Van Rompuy and Co have moved beyond the early emotional phase and are now becoming more rational in their analysis of the brexit situation. Brexit isn’t as big as people imply. If the EU collapses or fails to evolve it won’t be because of Britain. Nor can one be surprised by Brexit. I was actually reading a book with an interview in it the other day with a global macro trader back in 2006 and even he was surprisingly accurate in his geopolitical forecast saying “Britain will never join the EU” (as in never integrate further) but it also needs to be careful not to break itself in the process (which he claims it has a habit of doing, I guess he was referring to WW1 and 2 and the post ww2 period of poor economic policy). He also said that France is going to get squeezed within the bloc and will economically struggle to pay for it’s welfare state, the Euro is going to continue causing problems, and the blocs power will shift East (he actually called Poland the Mexico of Europe, not sure if that is a compliment or insult, but he meant the East is where the cheap labour is for EU companies, like Mexico is for the US). This is back in 2006 and he saw it all on the wall way back then, 10 years ago. Others have had similar views. What has happened and what is happening is not surprising at all for top global macro analysts etc. Problems are going to continue occurring in the EU, unfortunately, due to the macroeconomic environment alone (not factoring in the political environment), due to Europe’s poor competitiveness, and terrible demographics, high debt and the lack of Eurozone reforms. Britain has always had an emotional focus on other parts of the world and has been an outward looking nation with close connections in the Pacific. But this doesn’t mean that it didn’t participate in the EU. Just because it was often over-ruled by Germany and other members it doesn’t mean that Britain didn’t try and improve the EU in many ways. It was always trying to make the EU more economically competitive and enhance it’s security. And Denmark actually has more opt outs than the UK does, so this alone isn’t indicative of the UK being already out, because if that’s the case then Denmark must basically be out of the bloc also. Nor did the UK hold back the Eurozone. The UK in-fact supported Eurozone monetary and fiscal integration, and wanted it to happen sooner rather than later, to make it more competitive. The reason for no Eurozone integration is due to the Eurozone countries not being able to agree with one another, and lack of effort. Conflicting ideologies among the German ruling party with the French ruling party, the EU commission, and other parties. The UK was just a bystander in the Euro debate. Anyways, now the UK is out, whether people wanted it to happen or not, it has been done. This doesn’t mean the EU and the UK cannot build a very close relationship with one another, however. Obviously it’s in the interests of both to do whatever it takes to shore up as much regional trade, growth / prosperity and security as possible. There is nothing stopping the UK and EU from forming a special relationship with one another for example. This is the pragmatic approach that should be pursued. With the EU free to then pursue the necessary policies it needs (i.e. reforming the Eurozone and implementing fiscal and monetary union), and the UK free to pursue what it needs (i.e. to continue decentralising and rebalancing it’s economy).